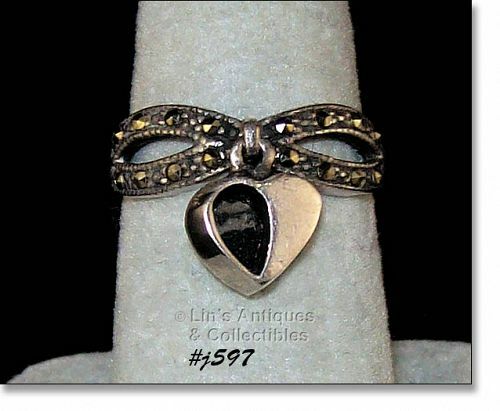 This pretty ring is marked 925, has an attached black and white heart shaped dangle, is accented with marcasites, and is size 7 1/2! 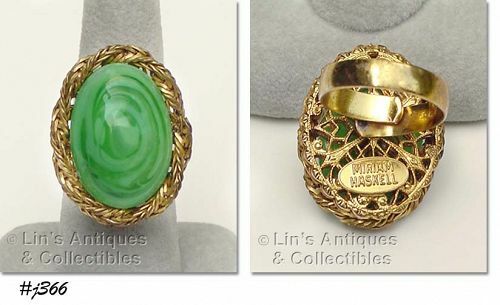 This ring is from my collection and is in excellent condition. I purchased this pretty vintage ring several years ago at an estate sale in Indiana! It is marked 10K and it was described as rose gold when I purchased. 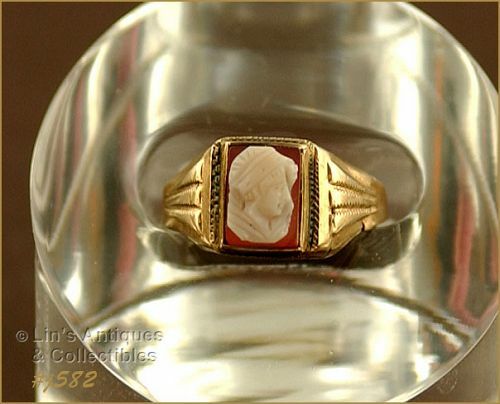 It is size 6 ½ and, based on the shape, it would appear to be a young man’s or boy’s ring. The cameo could be shell but I’m not certain. It’s a very stylish ring with lots of attention to detail and is in super condition. It has a small 1/32” split on shank that is not detrimental in any way. Rings made by Miriam Haskell are difficult to find! This one is gold tone with an adjustable band and the back has “Miriam Haskell” signature plaque. The ring measures 1 ¼” long, ¾” wide. The green glass center is very pretty! Please see the photos of this lovely ring to truly appreciate its beauty!